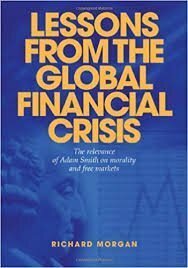 Lessons from the Global Financial Crisis; The Relevance of Adam Smith on Morality and Free Markets (2010) | Moral Markets? "Adam Smith was an advocate of the free market; however his first and widely-acclaimed work, The Theory of Moral Sentiments, was on ethics. 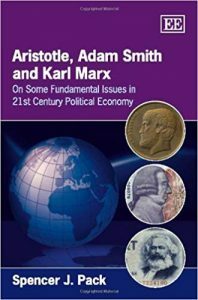 While commentators tend to review this work in isolation from his writing on political economy, Richard Morgan argues in Lessons from the Global Financial Crisis that although The Wealth of Nations is concerned with political economy, Smith's pointed attacks on exploitation and greed reflect the ethics outlined in his first work and illuminate the constructive role he proposed for government." "It is something of a relief to turn to Morgan’s short, easily read book. 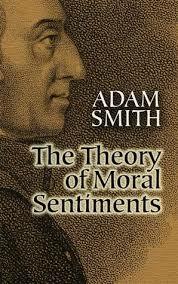 It considers what happened - at least in the broad - through the perspective of the thought of Adam Smith. The book is something of a primer - with a useful diagram setting out the key elements of Smith’s views. Numbers identify each key idea with useful and revealing quotes from Adam Smith’s The Wealth of Nations grouped by subject. [...] In his conclusion, Morgan stresses Smith as a proponent on moral grounds of a market economy with limited government as the one most suited to the moral nature of humanity, and as encouraging both moral behaviour and outcomes. Adam Smith was a careful and nuanced thinker, convinced that a free society with limited government was best suited to humanity’s moral nature. Nothing has happened since then — certainly no passing financial crisis — to undermine the depth of his insight and the general correctness of this perspective. 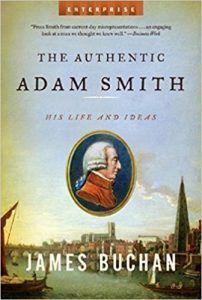 Richard Morgan has performed a most useful service in making the key elements of Smith’s thought so accessible." Richard Morgan is Chairman of PBC Goldings Pty Limited, a private company with interests in Australian agribusiness and venture capital. He had a career in industry. He has degrees in agricultural science and commerce and has been a tutor of economics at the Faculty of Economics and Commerce, the University of Melbourne.